Thanks to everyone who came, volunteered, served, donated and gave to the American Red Cross at our “Pour Into Sandy” event on November 14 at the new Cheers@All Corked Up! The grand total sent to the American Red Cross by the residents of Santa Clarita will total approximately $7,000. 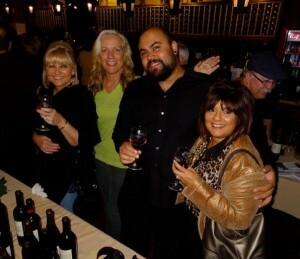 We had arranged for almost one bottle per person, as we really had no way of knowing how many would turn out, and kept the price low: $25 in cash or check to the American Red Cross got you in, a wine glass, and a trip to about a dozen wine tasting stations. 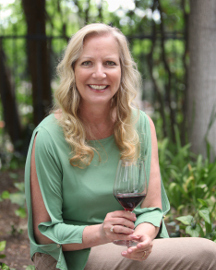 Some of the wine, by the case and half case, came from local winemakers, winery representatives and wineries as close as Santa Ynez to as far as Oregon. (I was very warmed by one winemaker who drove up from Malibu with a case and another that shipped hers from Oregon.) Private parties donated almost half of the remaining wine, so some of our tasting stations had dozens of single bottles, some older and rare vintages, just itching to be sampled. 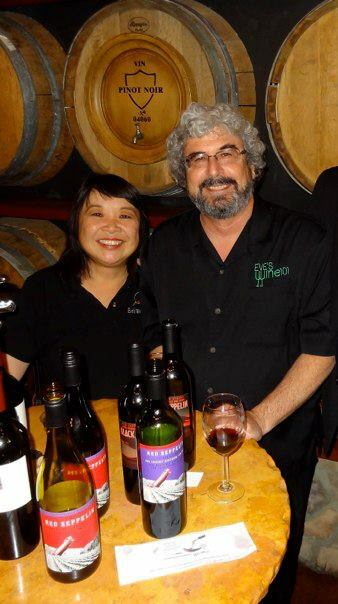 Cheers@All Corked up owners, Al Robles and Terri Rivera, greeted each guest outside as they arrived. 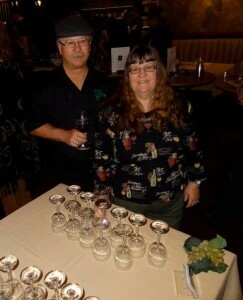 Then I had asked one of my writers, Rusty Sly, and his wife Tracy, to hand them their wine glasses as they came inside. My husband Eddie manned “our” tasting table, the majority of the time alone, while I made announcements in the three rooms of Cheers@All Corked Up where we had set up for the event. As was the case with our previous event, Pour Into Haiti, we don’t plan for these catastrophic events, we only react as swiftly as we can to them. With that said, I never heard anything negative about any part of our event because, in all honesty, I think that any errors were forgiven by our guests as they wholeheartedly were behind our earnestness for our cause. Robert “Shipwreck” Schwemmer: Great evening hanging with friends and meeting new friends all for a great cause. Jay Schutz: Congratulations to everyone who made this event successful. A big shout out to the residents of Santa Clarita, their generosity and participation were instrumental in making this a successful fundraising event. The residents of Santa Clarita should be very proud and hopefully feel a sense of accomplishment in providing funds to those who remain in dire straits. The Red Cross thanks you as well. Mark Le Vang: Great job everyone! Gloria Stahly: Both Michael Perlis and Eve Bushman did an amazing job in making “Pour Into Sandy” such a success!! Kathy Lockhart: Eve, this was wonderful event. Thanks to everyone that helped make this an amazing event. Sonya Rowin: Eve, what a great event!!!! Jon and I had a great time and met some amazing people!! Thank you and your peeps for all you did! Hope we raised a great amount for the Red Cross! David Schutz: Fantastic event last night and hope we raised some money for a great cause…especially in today’s tough times and the residents of Santa Clarita truly stepped up! Ckay Walker: Thank you for a wonderful event! I had a blast and was so happy to win a couple of auctions. Pour into Sandy! Kym Cappi: Amazing Event! Thanks Eve, Al, Terri, Claudia, Shelly & Cheers staff for a wonderful evening. Hope you raised a ton of $$$ for Sandy relief! Great to see Claudia Sheridan, John and Debbie Heys, Shelly Hahn, Marlee Lauffer, Shipwreck Bob, and so many more turn out for a great fundraiser! Victor Herstein: Like old times at ACU except no Yoon. Claudia Sheridan: Eve – you rocked it girlfriend! Job well done! Thank you Michael & Al for all you did and to everyone who donated and who helped. Again, GREAT JOB, I was THRILLED to be a part of it! 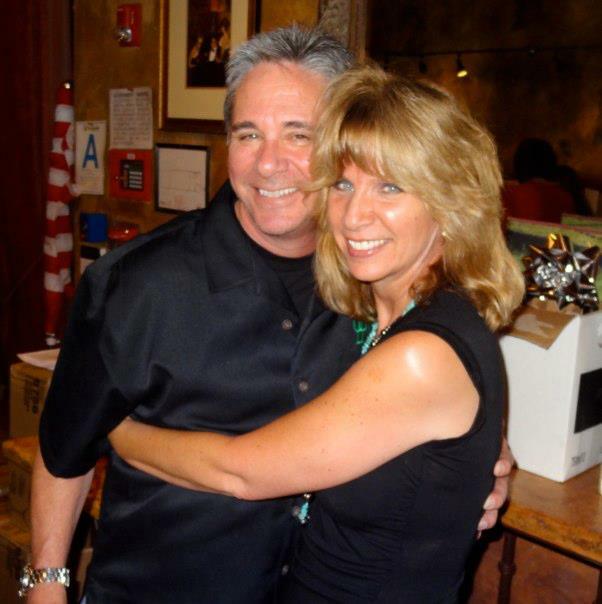 Cheryl Dellepiane: Congratulations to Michael Perlis and Eve Bushman on an amazingly successful event! Sonya Rowin: We had a great time at “Pour Into Sandy” Wine event! Now off to bed. Good night all. Brenda Schaecher: Was great fun meeting new people seeing familiar friends. Keep me in mind for future events. 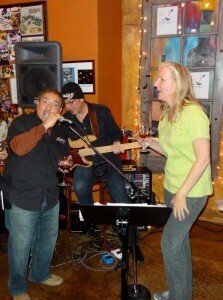 Sharon Lindquist: Pour into Sandy fundraiser last night. So much wine! Had a good time. Lisa Drago: It was a great event. I have friends who were impacted by the storm so this meant a lot to me! Glad I could come. Don Dellepiane: Pour into Sandy–wow! Bill Miranda: I ate. I drank. I was merry. What more could I ask for? Thanks Al and Teresa and the entire Cheers team. Andrew Kevin Friend: You did an awesome job Eve! Go take a well-deserved nap! Al Robles: Pour Into Sandy was great! 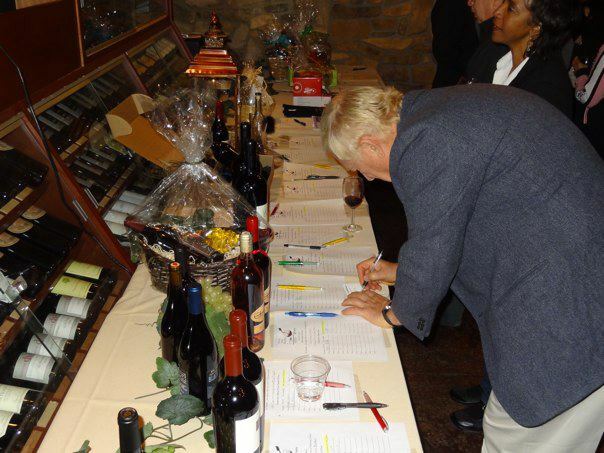 Thank you everyone who came, donated, bid, poured wine and had a great time helping us raise money for the victims of Sandy! When I get a total of how much was raised for The Red Cross I will let you all know. Thanks again everyone! 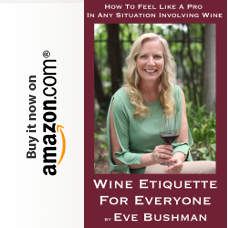 Wendy Hersh: Had a blast, tasted some yummy wines, talked with friends, heard good music… all to raise money for my families back east…. awesome. Steve and Amy Elzer, Shelly Schutz, Michael and Karen Perlis, Louise Castaldo, Larry and Gloria Stahly, Marlee Lauffer, Don and Cheryl Dellepiane, Jason Park, Al Robles, Terri Rivera, Judy Cox, Angela Freeman, Chris and Jeannie Carpenter, Andrew Kevin Friend and Joyce Murphy. Wineries at last count included J Dusi Wines, Carlisle Winery and Vineyards, Stillman Wines, Clavo Cellars, Zeppelin Winery, Les Deux Chats, Pulchella Winery, Stephen Hemmert Wines, Turley Wine Cellars, Gioia Wine, Two Hearts Cellars, TGIC Importers, Reyes Winery, Alonso Family Vineyards, Nuggucciet Estate Vineyard, Bouquet Vineyard, Bobcat Wines, B & P Winery, Gagnon Cellars, Lucas & Lewellen, Vines on the Marycrest, Shai Cellars, Liquid Farm, Six Foaks, Rosellas Winery, Whistling Vineyard Wines, Estrella Creek, Epoch Estate Wines, Italia Wine Imports, Winery Direct Distributors and Southern Wine & Spirits. 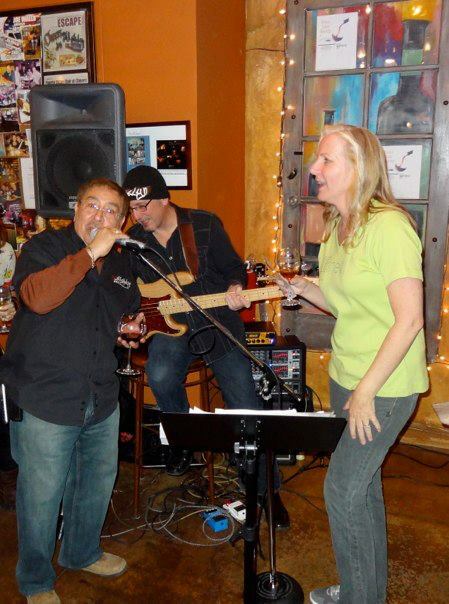 “Joe Iaquinto and Friends” provided live music. Alex Hafizi, who also took photos at the event, designed our artwork. And further photographs were by Moe McKaughan. 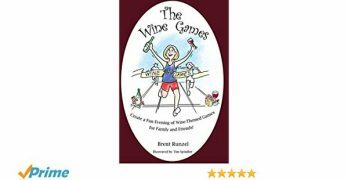 Thanks to Doug Gould of the SCV Wine Enthusiasts and Kathy Lockhart of Wine-y Women Unwind – two local meet-up group leaders that I asked to make Pour Into Sandy their meet-up events – we had about 50 more guests. My husband Eddie and my sister Lauren were volunteers! Thanks to the West Ranch Beacon www.WestRanchBeacon.com, The Signal www.The-Signal.com, KHTS radio station www.HomeStation.com and SCVNews www.SCVNews.com for running our announcement and to fellow bloggers pals that also ran our news release: Claudia Sheridan www.aToasttoMe.com, Denise Lowe www.GoddessofWine.com, Rob Barnett www.vinvillage.com. The event was also spread across several friend’s Facebook pages, twitter feeds and other social networking sites. And our Merry Band O’ Volunteers: Michael and Karen Perlis, Al Robles, Terri Rivera, Shelly Schutz, Claudia Sheridan, Eddie and Eve Bushman, Lauren Lefkowitz Greber, Brenda Schaecher, Tracy and Rusty Sly, Mary Ann Mogan and Cindy Baker. Well, Sandy didn’t give us time to find sponsors. But the people that I would consider sponsors of the event were Michael Perlis and myself for marketing and planning the event through Eve’s Wine 101, Al Robles and Terri Rivera for lending us their venue, their staff and countless other necessary items needed for an event, and Shelly Schutz, one of the owners as well as the managing general partner of All Corked Up. Moe, Linda and Alex Hafizi, Michele Buttelman, Shelley Hann, Joel Cox, Mary Robles, Steve and Rose Chegwin, Dr. Greg Jenkins, Andrew Kevin Friend, Jessica Javier, Chuck and Heidi Wiedeman, Cathy Craig, Mike and Donna Harris, Francine Danny, Dr. Kimberly Rosen, Kevin Norris, Mike Lebecki, Ron Cappi, Mark and Ginger Le Vang, Kerri Emmer, Jeff and Tamra Levine, Leah Granen, Clive and Beverly Langeveldt, Ramon Rebel, Ed and Kelly Sorenson, Gail Pinsker, Lara Lawrence, Mary Bradway, Chris and Patty Connolly, Danny and Nina Mascari, Juan Alonso, Stephen Hemmert, Gil Gagnon, Russ and Nancy Briley, Derrick McKaughan, Betsy Donley, Rich and Pam Jaffke, Amy Daniels, Randi Tyrrell, Nyla Rogers, Toni Brady, Ola Mikail, Denise Van Arsdale-West, Zaheer Ali, Bonnie Stauch, Terri Apruzzese, Jo Ann Vindigni, Diane DeBoer, Laine Hedwell, Steve and Cathy Martin. Tried the link to view all the pics and says not available. would like to see all the pics. I think the problem is that they were taken by Maureen McKaughan, so if you are not her Facebook friend they may not load. I shared them on my wall, and will again now. Another thing you can do is message her on Facebook.